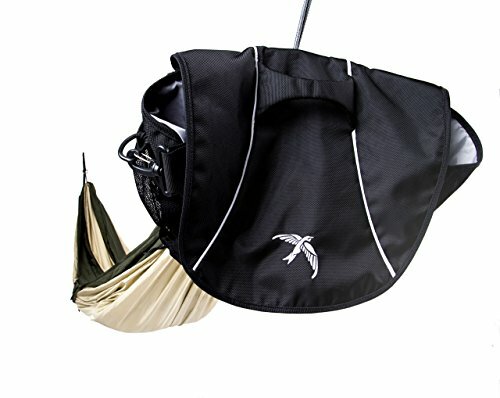 Messenger Bag Hammock - Moar Stuff - You don't need it but you know you want it. The HackedPack Swift is a messenger bag hammock combination which means you can easily take a nice nap between deliveries or classes. This over-the-shoulder bag features a complete hammock storage and carrying system. With a capacity of 20 liters, it features 7 pockets and an internal drawstring so it holds everything inside even when the hammock is deployed. 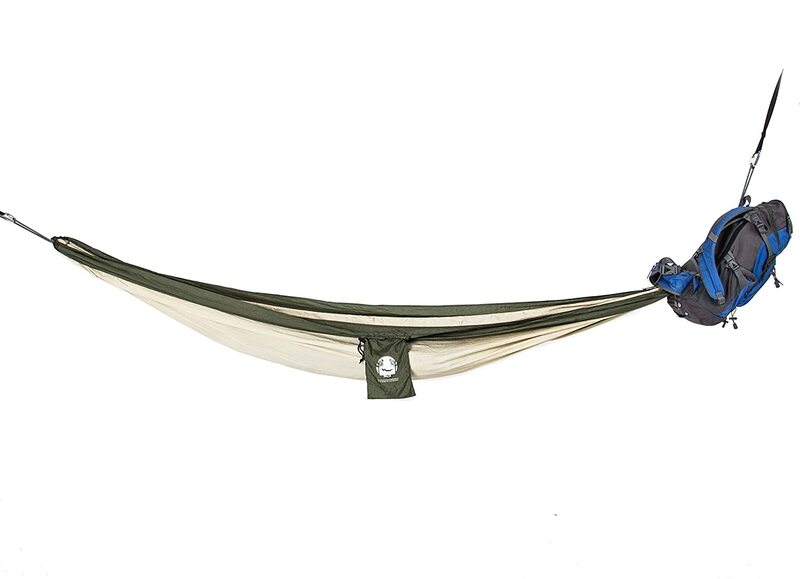 Speaking of the hammock, it is easy to setup and tear down. All you need to do is find two trees or poles the right distance apart. It measures a fill 9 feet by 5.5 feet so there’s plenty of room to get in a power nap between runs or classes. Made from nylon, it won’t easily tear and can hold as much as 500 pounds. Why yes, that does mean it’s big enough for two people. If a messenger bag isn’t enough for you, they also make a backpack version so you can carry more stuff and still catch a quick nap. It’s absolutely perfect for college students and people who like to take short hikes out to their favorite napping place. Bag Dimensions: 16 x 8 x 2 inches. Hammock Dimensions: 9 x 5.5 feet. Includes carabiners for easy setup and take down.